Amazon announced its acquisition of mesh router company eero as the e-commerce giant seeks to dominate the smart home device market. eero is the first company to popularize mesh home routers that allow users to connect multiple routers to create one large network. eero will continue to operate under its own brand, and the company’s products will remain available. Amazon is set to acquire eero in a bid to bolster its position as the leader in the smart home device market. 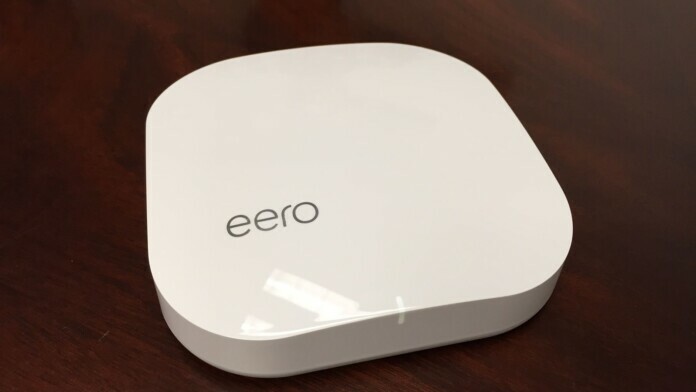 eero is a pioneer in the mesh router segment, and it is the first company to popularize the use of mesh routers that service as multiple access points. Multiple mesh routers can be connected to each other to offer a large Wi-Fi network that is more capable than most single routers. eero does not offer any products outside of its range of mesh Wi-Fi routers. Even though the company’s portfolio is small, it took the world of tech by storm when its first products were introduced. Other popular router manufacturers like Netgear, Linksys, TP-Link, and Google, have jumped on to the mesh router bandwagon. We may see some implementation of the technology make it to Alexa devices by Amazon as well. Amazon has already shown interest in Alexa-powered routers recently, and we may see some products that implement eero’s technology as well. Smart home device owners not only expect eero to influence Amazon’s smart device lineup, but it is also expected that eero devices will be more competitively priced in the future. Even though the mesh router manufacturer popularized the technology, other larger brands managed to offer mesh routers that are far cheaper with no tradeoffs. What do you think about Amazon acquiring eero? Let us know in the comments below. Feel free to share this post through our socials on Facebook and Twitter.